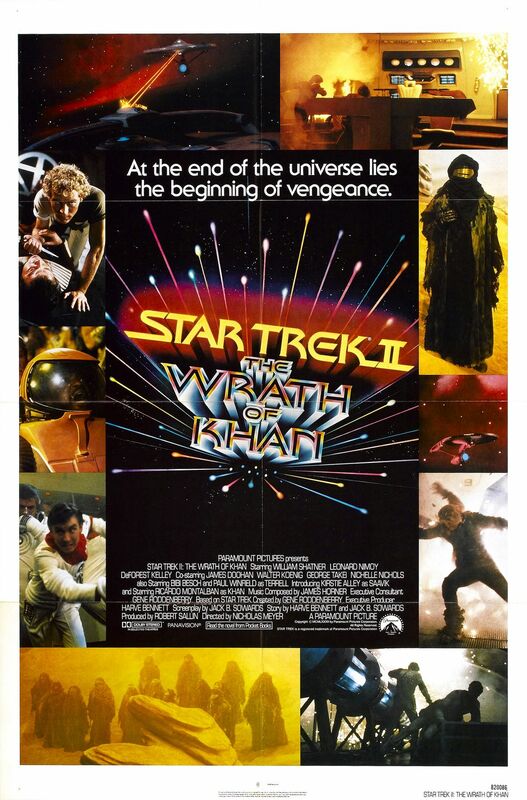 One of the great movie experiences of my life was seeing Star Trek the Wrath of Khan when it opened in 1982. I was a huge fan of the original series and when the first film came out I was there on opening day. A lot of people seem to be disappointed in Star Trek the Motion Picture, but I ate it up and the audiences turned out in droves. Despite some lingering negative feelings it was a huge hit. 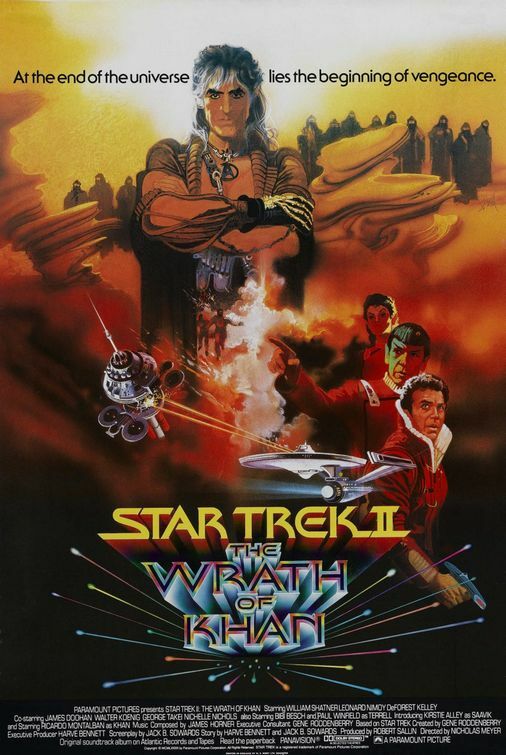 In spite of the fact that Wrath of Khan was the second film in the series, it felt like the film franchise was being rebooted. The action was going to be more dramatic, the uniforms for the Federation were dramatically different, but the best thing about this film was that it would focus so much more on the relationship between the three main characters on the Enterprise. Admiral Kirk is unsatisfied with a desk position in Star Fleet. Spock is now the Captain of our beloved ship, and Dr. McCoy continues to be the kind of sage friend that both of them need to have in their lives. The film begins with a fake out on the rumored death of Spock, and then gradually refocuses on the melancholy that seems to hang over Kirk as he faces the fact that he is indeed getting older. The Enterprise is a cadet training vessel and it suddenly gets called into service and Kirk, McCoy and Spock are reunited on the bridge that we always want to see them at. There are the usual crew aboard and a new character that held the promise of important things to come. One of the old crew is now the First Officer on another Federation vessel ( or wessel as he was likely to pronounce it) , Captained by actor Paul Winfield. In the process of finding a location for an important experiment, they happen upon an old nemesis of Captain Kirk and the fireworks begin. So many Star Trek tropes are introduced in this film that it already feels like the start of a new show. This is the film that gave us the Kobayashi Maru, the refusal to accept the No Win scenario, “the needs of the many outweigh the needs of the few”, “I have been and always shall be your friend”, “Khaaannnn”, the old Klingon proverb and a dozen more. Kirk gets a lot of back story with the introduction of two other characters and the effect is to make the film even more personable. The biggest impression however is made by the guest star returning to a character introduced in the original series, Ricardo Montalban. He not only steals the Reliant, he steals the movie with his bare chest and long flowing white hair. Montalban spews out the lines with an elegance at one moment and a spiteful vengeance in the next. He is the embodiment of the genetically engineered superman that supposedly practically conquered earth in the 1990s, two centuries earlier. He mixes Shakespeare and Melville and still is convincing as he outwits and id outwitted by Kirk. The first time I saw the film was at the National Theater in Westwood on opening day. It was a beautiful wide and large auditorium with a gold motif and curtains. 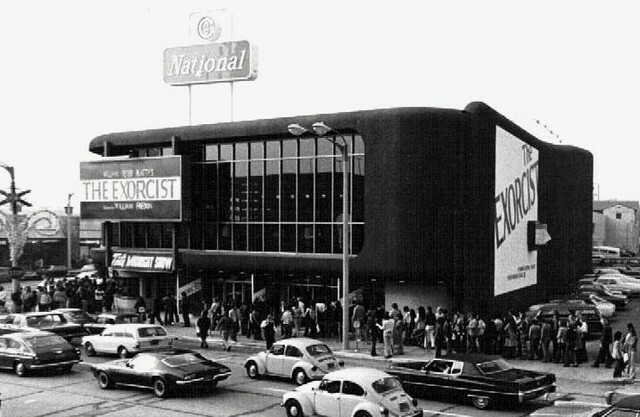 It was famously the Theater where “The Exorcist” first played in Los Angeles, and it was only just now that I discovered it has been torn down for almost a decade. The movie was packed and the sound system was terrific. 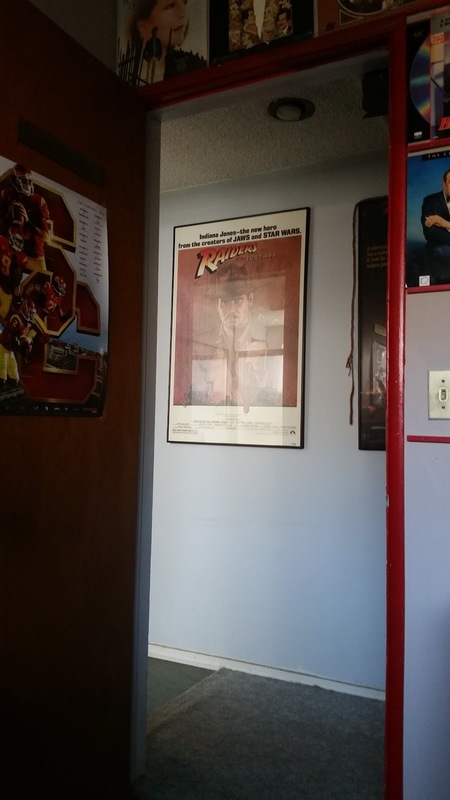 The impact of the film on me at the time was profound. Characters that I had loved were getting old or dying, the ship that we marveled at is severely damaged, and there is a bagpipe salute that will bring a tear to any stout hearted Trekker. The Fathom event that put this back in Theaters featured a so called “Director’s Cut”. Nicholas Meyer who is responsible for putting the movie together with one fourth of the budget of the previous film did a fantastic job in 1982, but there were a few things he was unhappy about. The final scenes of the casket on the Genesis planet were filmed and added against his wishes, he wanted Spock to stay dead. According to the information being screened before the movie, he has subsequently acknowledged that he was wrong and that the scene works for the series. Most of the additions are small moments with a single line or two that elaborate on the characters motivations or fill in a plot element. The best additions were some small scenes that clarified that cadet Preston is Scotty’s nephew and then Mr. Scott gets a better dramatic scene after the first attack on the Enterprise. Before the program this evening, I watched the Original Episode “Space Seed” last night. Khan’s impervious nature in that show has given way to personal vendetta in the film, and that works really well given how the plot sets up his situation. William Shatner was interviewed for about twenty minutes as an extra for the event and he was entertaining and eccentric as heck. He conflated a couple of the movies as he was talking about them, but he was an impressively sharp 86 year old. He seems quite vital and he keeps pretty busy. Kirk was always my favorite on the show. Spock was the popular character and I loved Leonard Nimoy, but let’s face it, Captain Kirk was about as close as you could get to James Bond in space. He had a string of lovelies across the galaxy and he got to ham it up on a regular basis. His shouting of the name exemplifies the theatricality of his performances but also fits with the nature of his character. Frankly, I may not stop smiling for a few days. From the first notes of James Horner’s score with the Alexander Courage theme woven in, to the Amazing Grace electronic music at the end, I was hooked. This is another commercial for a video release, but it is exactly the kind of value added commercial that makes me want to spend my money and reward everyone involve. The word is given, Warp Speed my friends. I have seen a building enthusiasm for this film since the first trailer appeared. It has a startling look in the most famous scene from the story, and it is enough to get buzz going for the film. A few weeks ago, as I was watching another Warner Brothers film, they played a five minute sequence from it as a promo for the movie. That short segment was terrifying and amped me up for this movie in a way that I was having a hard time believing. I like some Stephen King properties but I have never anticipated them like a Star Wars film, but something here got under my skin. I am writing this a couple of days late because I have been traveling. We saw the film in one of the Thursday night early screenings and it was packed. This movie is clearly going to be huge. All that said, I may be bursting a few floating red balloons with this next statement. “It” is not as frightening as you hope it will be, but it is better put together and acted than you have any right to hope. Not having read the book or seen the mini-series that was made from it, I have no reference for how the story is supposed to play out but there are a couple of things that are obvious right away. This movie is really a coming of age story with some fantastic elements and those are designed to scare us almost as much as the daily horrors that are part of growing up. All of the kids in the story are outsiders who have been labeled as losers. Each one is a stereotype that we have seen in other movies before. The sensitive nominal lead is a kid who is struggling with the loss of a beloved sibling. There is a chubby kid with a heart of gold and the soul of a poet who will be overlooked as a romantic interest in spite of being bright and charming. We have a needy Mama’s boy who is a little to cowardly to be that shallow and will reveal himself as more than he appears before it is all through. The four other kids include a girl with a secret, the one Jewish kid in town, and a geek with a severe case of coulrophobia and let’s not forget the one black kid in the neighborhood as well. This version of the story begins in the eighties. I understand originally it was a fifties setting so that the adult part of the story would be contemporary for when the book and TV movie came out. The update does a couple of things,. First it will allow the adult story that is going to follow this chapter of the saga to take place in our times. More importantly, it sets the kids story in a period where nostalgia runs deep for modern film audiences. One look at this group of kids and there will be visions of “The Goonies” running through the minds of Gen-Xers and millennials. There is even a sly reference to the John Hughes films that so absorb the geek film audience of these times. All of this is managed with some splendid child performances by the young cast. Finn Wolfhard plays Richie, the geek with a filthy mouth. It is certainly no accident that the thing he is known for is the Streaming series “Stranger Things”, a show that wallows in the same sort of 80s nostalgia.Jaeden Liebeher is Bill, the central character who has guilt issues that mimic King’s character Gordie LaChance from “Stand By Me”. He is a solid child actor, I have yet to catch up with his performance in “Midnight Special” but he was memorable in “St. Vincent” a film I can easily recommend. Sophia Lillis is the right combination of tough girl and sensitive soul. Her character’s story is probably the darkest of the kids and she plays it as a delicate balance of fear and openess. The performer who really steals the movie for me was Jeremy Ray Taylor, who plays Ben, the new kid who also happens to be the chubby kid. His struggle to talk to a girls, walk his bike and hold onto a school project at the same time is a perfect rendition of a kid at that age. His character has been well written but he was also nicely cast and the impact on the audience i a couple of spots shows that he may have generate the most empathy of anyone in the story. The elephant in the room is Bill Skarsgård, the actor who portrays Pennywise the dancing clown. We get hints of the history of this character but nothing more than musings. Whether he is a real monster or a creation of the id of all these characters, Pennywise will do for clowns what Clark Gable did to undershirts in “It Happened One Night”. Along with John Wayne Gacy, Pennywise does more to justify fear of clowns than anything else I can think of. Skarsgård has a distinctive lilt to his voice in this film. At times he sounds almost like a benign entertainer, but one look at those eyes and that deceptive smile and kids will run. 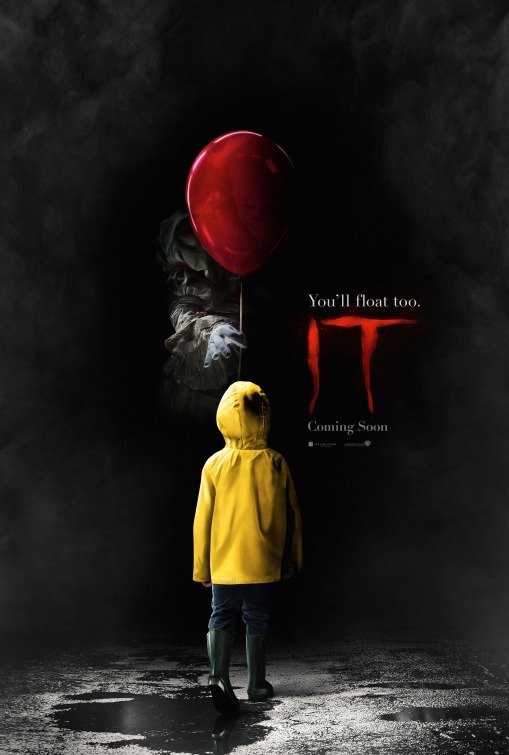 The most frightening part of the film happens at the beginning of the film when cute as a button Jackson Robert Scott playing little brother Georgie, meets Pennywise at the storm drain. All the other horror moments in the film seem conventional in comparison to the exchange of dialogue and the slow paced bad choice that Georgie makes. The plaintive expression on the clowns face belies the evil that resides there and the quirky voice pattern makes us doubt that there is any danger at all. The crawling of your skin however should be enough to make you run in the opposite direction. Like most horror films, every few minutes the audience is provided a jump scare or a sequence of building tension with a visual hook to it. None of these moments contains the same gut level terror in that opening moment. There is one scene featuring an old slide projector that comes close but too much has been revealed in the trailers to make it work as well as it should. At the climax, there is a little more of Pennywise and his dialogue than is advisable. The more tangible the character is, the less frightening he seems. As I said earlier, this is more of a coming of age film than a fright fest. 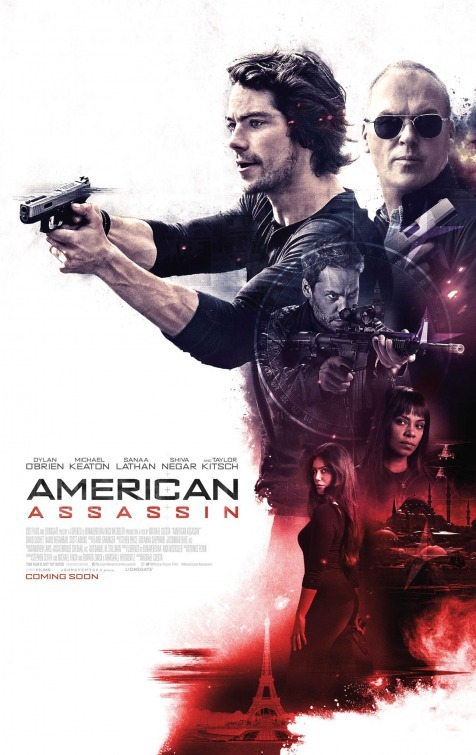 The confrontation at the end makes this feel more like an action film and less supernatural, in spite of all the supernatural elements. 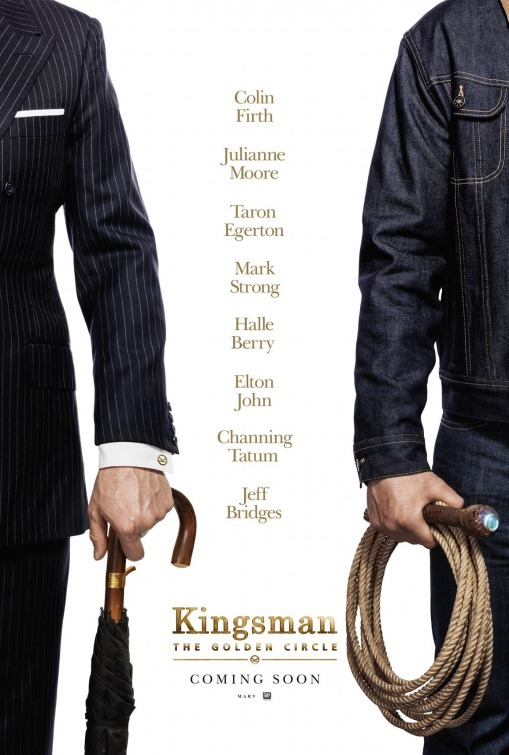 I still quite admire the film, it’s just that it is less of what I was hoping for and more conventional than I wanted. Still it is a quality picture and if clowns creep you out to begin with than maybe “It” will succeed in giving you the nightmares that I somehow missed out on. I have less to say than anyone else but it is still a fun episode. In 1977, Star Wars was the big film in the science fiction genre. It dominated the Summer season and took off as a cultural artifact that continues to resonate today. The likelihood that another science fiction film would come on the scene and impress in the same ways seemed remote, but Steven Spielberg was just at the start of his career and the third major motion picture he directed was going to wow us in ways that were very similar to his pal George Lucas’ little space opera. 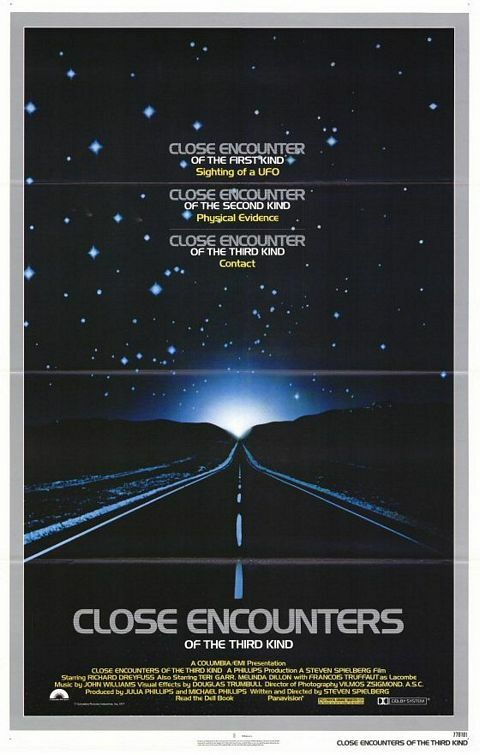 “Close Encounters of the Third Kind” is grounded in the everyday reality of audiences at that time. It was not set on a distant planet with space battles, it was taking place in our backyards, in Mexico, India and at a National Monument in Wyoming. The special effects were very different from “Star Wars” but equally compelling. When the Mothership shows up for the climax of the film, it almost makes you forget the space battles around the Death Star. The film opened in December so it was a Holiday release and it did gangbusters business. It made more than a $100 million with maybe 300 screens during it’s opening run. In 1977/78, that was real money. Three years later in a re-release in a “Special Edition” it added another $16 million. This week’s run will add a smaller amount to the total but I think it is impressive that a 40 year old film still draws in enough customers to make a mark on the contemporary charts. The reason is simple, it was a great film in 1977 and it is still a great film, 40 years later. Steven Spielberg is the consummate film director of the last fifty years. He may be rivaled creatively by directors such as Martin Scorsese or the Coen Brothers, but his track record of film success plus creativity is unparalleled. 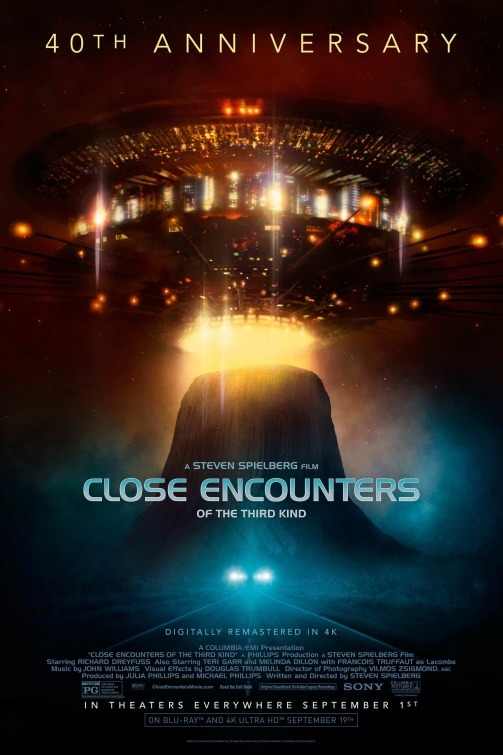 “Close Encounters” is entirely his baby. Although he has contributed to a few other film scripts that he directed, this is a solo credit, his only one. The inventiveness of the story and the odd way that it plays out building suspense as to what is happening to our sad hero is a testament to Spielberg’s creativity with story. Of course his directorial choices are outstanding as well. From the start of the movie, when a black screen is accompanied by an otherworldly note, held for a moment but increasing in volume until a crash and then the screen fills with a desert sandstorm image, we are hooked. The mundane but complicated work of air traffic controllers, talking on a radio with the flight crews of airlines, depicted on a black and green screen as a set of numbers, comes across like a tense mystery with just enough humor to make it memorable. Finally in the opening sequence we meet the Neary family, who are like all of us. Their home is average, cluttered, and filled with loud kids and distracted parents. The floor of the boys bedroom may be one of the most accurate pieces of set design ever. At the heart of this story is Roy Neary, played by Richard Dreyfess, his second time in a row playing the Spielberg persona on screen in a Spielberg movie. What happens to Roy on this night changes everything. His relationship with his wife and kids will be damaged in ways that look beyond repair, but it happens slowly. 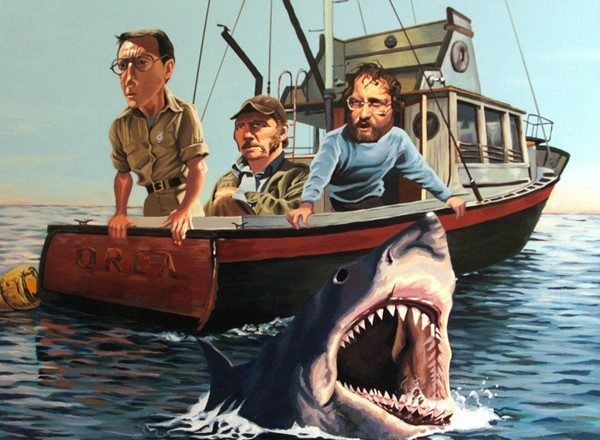 If Quint was obsessive about the Great White, well he had nothing on Rot Neary and the vague form that he keeps seeing in his food, bed and bathroom. At the start of the film he is a well meaning father who kiddingly threatens one son while trying to help the other one figure out fractions in an interesting way. He wants his kids to share the magic of his own childhood experiences and the recurring theme of Pinocchio is introduced. It is only a few days later that he indifferently trashes the house where they all live in a quest to figure out the symbol in his head. His oldest son is embarrassed and lashes out when Roy can’t control his frustration and desperation. His wife, the wonderful Terri Garr, is mildly supportive but is also trying to protect him from himself. As much as there is to celebrate at the end of the film, there is plenty of tragedy to get us there. Roy’s actual encounter is brilliantly shown with practical effects in the truck he drives for work and the fantastic conceptualization of the UFOs he chases that first night. 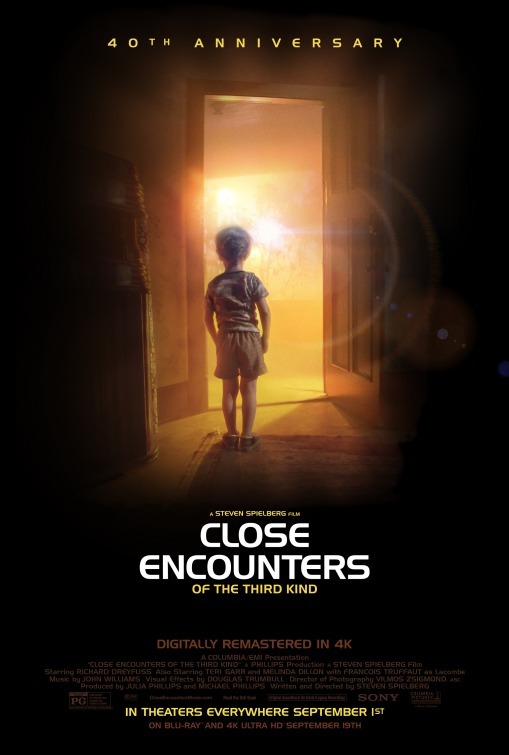 Spielberg then allows him to undercut his own experience with a clever second encounter that is not at all what it seems. This is another writers touch that is well realized by the most sympathetic of directors. There are a few moments that will leave modern audiences a bit bewildered. Roy trying to navigate using folded maps and not GPS is a pretty good example. 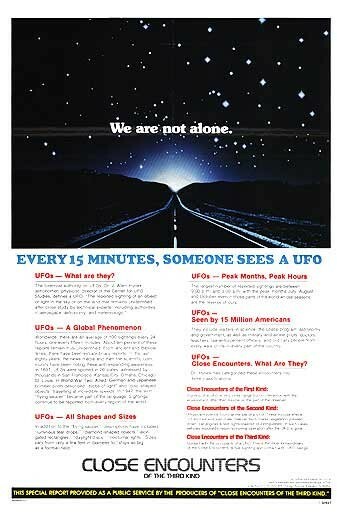 At a official inquiry, a newsman points out that the absence of photos of UFOs is not proof of their non-existence any more than the absence of pictures of planes or cars crashing denies that those things happen [these days, that kind of film fills the evening news]. There is a great humorous sequence when the investigation team needs to read some map coordinates and instead of going on-line, they have to roll a giant globe from a government office to their workspace. So the technology might be dated but the story hold up well. Can we trust the government to tell us the truth? Do we know all there is to know about space? Are some crazy people maybe not crazy? Roy gets lumped in with a guy who believes in Bigfoot and that’s enough to discredit him in a lot of eyes. He does discover an ally in Jillian, who has lost her son Barry to the visitors. Barry’s disappearance is one of the sequences in the film that is iconic and it was really frightening. It was a moment that made you think this film could go anywhere and any point. Melinda Dillon was nominated for an Oscar for her role as the distraught mother who also had the same kinds of obsessions as Roy. When the two of them finally work together as they arrive in Wyoming, you can feel the us versus them bonding between the two characters. Director François Truffaut was cast as the main scientific leader of the UFO team, and he works mostly because of his language barrier. Bob Balaban as the cartographer drafted as Truffaut’s interpreter also acts as a surrogate for the audience on the inside of the plot. This dual approach to the story might give away too much but because Jillian and Roy don’t connect till late in the film, and Balaban is sometimes unclear on what is happening, the suspense is maintained. László Kovács (Paper Moon), Douglas Slocombe (Raiders of the Lost Ark), Allen Daviau (E.T. ), and a half dozen others. There are many themes that you can pull out of this film and all of them feel like that could be the central focus. In the first part, mystery is at hand, in the second act it is obsession and the third transfers to both paranoia and hope. I always see this as a film that is ultimately about how the world can potentially be brought together by an event of this magnitude, or conversely how it could tear us apart. That dichotomy is the script again by the director himself. There are a hundred little moments that deserve more attention, and I hope that despite the fact that this is the first time I have written about this film, it won’t be the last and those moments will have some light shined on them as well. My friend Eric on the East Coast took his son to see this for the first time, while I was taking my daughter to see it today. Eric is a fine writer and he put together a nice post with a heartfelt message to Mr. Spielberg at the end. You might want to look at it here. I was a last minute substitute on this podcast and lucked into the first pick. I wonder what I should choose. Take some time and go vote for my slate of Harrison Ford Films HERE.